Warner Archive Collection announced today that they will release Green Lantern: The Comlete Animated Series to Blu-ray beginning on March 18. The complete 26-episode series is now available for pre-order via Amazon. 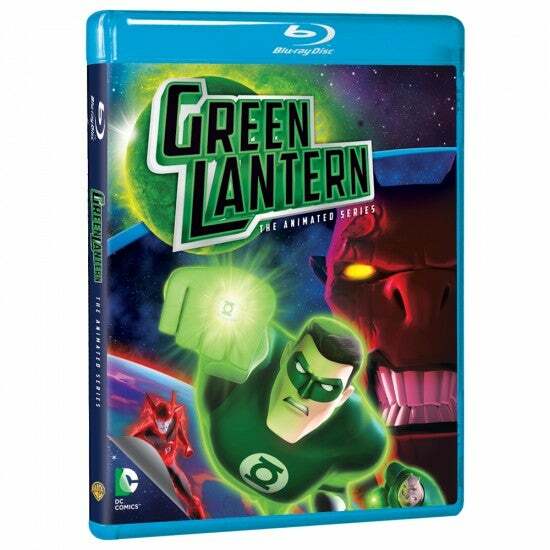 Green Lantern: The Complete Animated Series is Warner Bros. Animation’s first completely CG-animated series. Josh Keaton leads the way as the voice of Hal Jordan/Green Lantern, alongside voice-acting stars Kevin Michael Richardson, Grey DeLisle and Jason Spisak. The guest cast includes Robert Englund, Ron Perlman, Clancy Brown, Wayne Knight, Juliet Landau, Kurtwood Smith, Phil Morris, Brian George and more. The fan-favorite series, which wrapped shortly before the launch of Beware the Batman! and Teen Titans Go!, retains a solid fan following.